McALLEN — Muggles, wizards and anybody in between will be able to wear their robes at the Performing Arts Center when the popular Harry Potter Film Concert Series plays here on June 6 and 7. The series will feature a live symphony orchestra from Monterrey, Mexico, that will perform the movie’s soundtrack. “Harry Potter and the Sorcerer’s Stone” will be shown on a “big, huge screen,” according to Mayor Jim Darling’s remarks at a Thursday news conference. Warner Bros. Pictures, the entertainment company that distributed all of the Harry Potter films, will be sending a crew to McAllen for the events, according to the event’s promoters. Tickets are on sale at ticketmaster.com, the Convention Center box office and, fantastically, at Platform 9 3/4. Ticket prices range from $48 to $123, plus fees. The series will play at 7 p.m. on both dates. 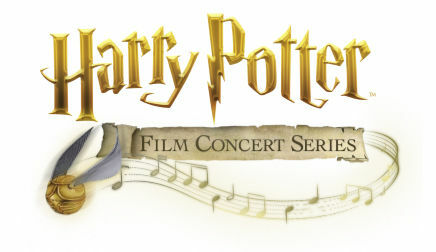 The Harry Potter film series includes stops in 11 countries and 44 cities, with a live soundtrack performed at each. McAllen’s soundtrack will be played by the symphony orchestra from the Universidad Autonomo de Nuevo Leon in Monterrey, the largest university in the Mexican state of Nuevo Leon. The orchestra will be led by Jose Isidoro Ramos, who was on hand at Thursday’s news conference. He talked about the strong relationship between McAllen and Monterrey, citing the upcoming concert as an example of that. COST: $48 to $123 at ticketmaster.com and the Convention Center box office.